Many say that current F1 cars aren’t beautiful and not aggressive enough like it used to be before 2009. 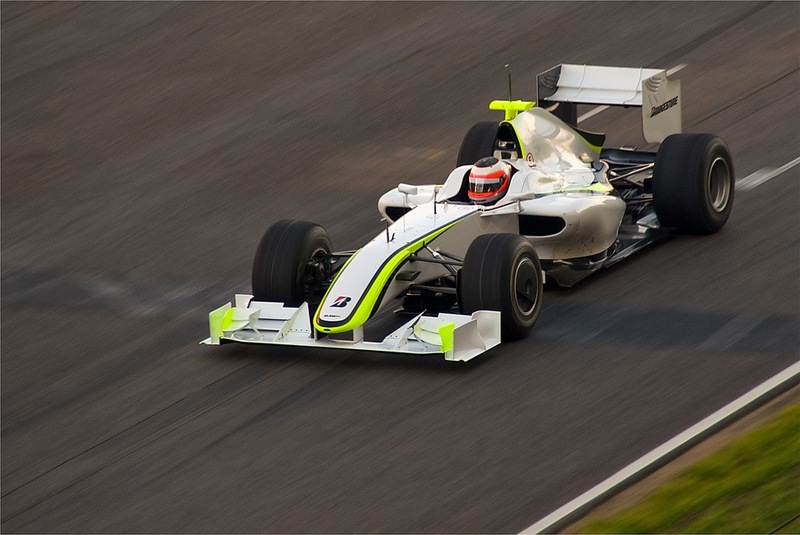 In 2009 season F1 changed radically specially with the design of the car. First noticeable change was the rear wing, it became more narrow and taller whereas the front wings were made lower and wider. The diffuser at the rear of the car was moved back and upwards. Along with these aero dynamic changes the slick tyres made the comeback. These changes were done to decrease reliance on aerodynamic downforce and increase mechanical grip with the aim of making wheel-to-wheel racing easier. But in real life, many drivers complained having disadvantage when following a car closely. On the other hand Fans weren’t impressed with the looks of the cars. Since 2009 the design of the cars didn’t changed much till today. F1 Strategy Group proposed a radical change to the technical regulation of the 2017 cars in order to make the cars look more aggressive and fast to get back its charm as the pinnacle of Motorsports. The 2017 cars will be 2 meters wider than the one are being raced today. This is because to help with the increased corner speed and reduce the blockage at the rear of the cars to help produce more downforce. In terms of look this will make the car look more beefy and racey. On the other hand, if the cars are increased to two meters overall width, which is what they used to be in the old days, that means each car will be 20cm wider. Two cars side-by-side will be 40cm wider, which doesn’t sound much but in effect it will be making the tracks narrower so less room for any overtaking maneuvers. But, still we might see some crazy tight overtaking from drivers like Max Verstappen and Lewis Hamilton. So, what else is getting wider? The tyres are also getting wider for 2017. At present the size of the rear tyres used in F1 is 42 cm which is set to increase to 45 cm in 2017. Although in general terms 3 cm is not much difference but in F1 this is will definitely increase the mechanical grip of the cars by quiet a good margin. The next thing set for change is the Front wing. 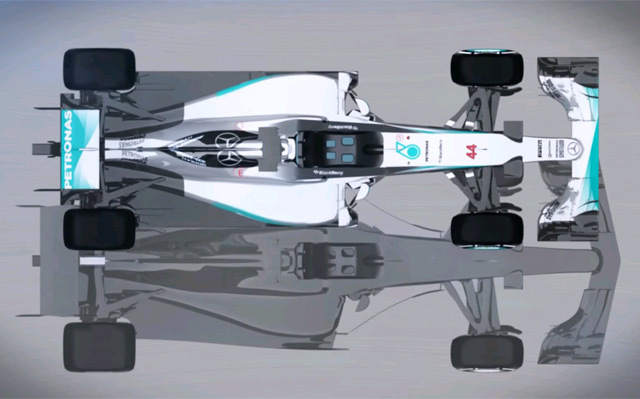 The front wing will be wider and nose will be longer than the current F1 cars. Components wise, the wings will carry similar components like the present front wings. Instead of flat shape at the front, the 2017 front wings will have more aggressive and forward pointed shape. The Rear wing will be another major change in 2017 cars than today’s cars. The rear wings will be wider and shorter than what we see in current F1 cars. This will be a big leap in terms of increasing the downforce. Other than getting wide from most of the aspects, the 2017 will have a longer and wider rear diffuser which will help in gaining more rear downforce. Designers will get more opportunity to play in that part. Even the bargeboards are set to get more aggressive look in order to facilitate aerodynamic gain. One thing remain unchanged is that they will still be using single exhaust layout for 2017 even though fans aren’t impressed with the engine sound of current F1 cars. So if the engine spec remains the same for 2017 then we might expect the similar sound as we are getting these days. With all these changes F1 Strategy Group are expecting the 2017 cars to be faster and the lap times to drop by 5 to 6 seconds. Our observation: Other than Monaco and Hungary, the cars are currently travelling at a top speed of 310-330km/h. If that is increased with extra power or reduced drag to 340-360km/h, it will reduce lap time by roughly a second. This is because it will only happen on the long straights, which there are not too many of. Yes, the acceleration onto the straight will be a bit better but still the lap time reward will be small. This still leaves five seconds to find from either downforce or extra tyre grip, and let’s assume the latter could improve laptimes by two seconds. So increased aerodynamic performance (downforce) will need to account for something like three seconds. That, as a load, will be around 300kg or an increase of around 25 per cent on what we currently have today. To achieve this will be easy but for a few seasons it will actually separate the teams’ performance even further. As we currently see, cars lose a lot of downforce when they are following another car. If the downforce is increased by this much, they will just lose more. So, still we are in doubt that how these changes will bring better racing. Let us know if you have separate opinion than us, please feel free to share your opinion.